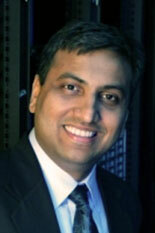 Professor Ankur Srivastava (ECE/ISR) has been named the Associate Editor of IEEE Transactions on Computer-Aided Design (CAD) in the areas of Modeling, Simulation and Validation. IEEE Transactions on CAD features articles on methods, algorithms, and human-machine interfaces for physical and logical design, including: planning, synthesis, partitioning, modeling, simulation, layout, verification, testing, and documentation of integrated-circuit and systems designs of all complexities. Practical applications of aids resulting in producible analog, digital, optical, or microwave integrated circuits are emphasized. More information about IEEE Transactions on CAD, and information on how to submit an article for publication, can be found at the website.